All Things Cullum: Friday Roundup: It's a Good Day! Friday Roundup: It's a Good Day! Happy Friday to you all! What a beautiful day. Hope you have had time to read the blog this week, but if you haven't, fear not! Here are all the best bits, so grab a cuppa and enjoy catching up. Looking a bit further into November, on the 8th, American musician, songwriter & record producer Allen Toussaint is on the show and on the 22nd will be a Maida Vale session with Mara Carlyle, including a duet with Jamie himself. Exciting! Jamie tweeted a photo of himself in the studio this week. Look at all those keyboards. Good to know he is working hard! Joe Simpson's exhibition in London closes on October 30th. 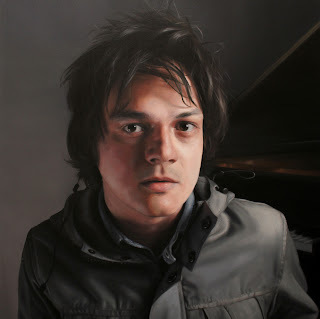 He painted an amazing portrait of Jamie and lots of other musicians. Get down there if you can and check it out. It's free admission! On November 1st, Jamie joins other celebrities in a panel at the Radio Academy Festival at 11:50 for Celebrity to Radio Star, a discussion about their move into radio. Yet to find out whether this will be broadcast live, watch this space! 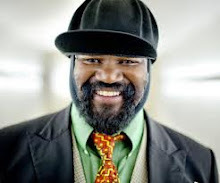 Gregory Porter's 1960 What? remixes are now available to download! JAMIE CULLUM DAY is less than 2 weeks away on November 9th. 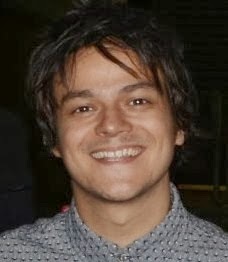 Join fellow Jamie Cullum fans online (time to be confirmed) for an hour of chat and for the launch of the new competition! I will leave you with some fantastic footage taken on stage by Jamie's creative director Marc Silver in Paris of my favourite moment from The Pursuit Tour. The atmosphere was electric and JC and the band were on fire that night. Watch Jamie's fingers at the end when the band take their bows! What was YOUR favourite moment of Jamie's last tour? 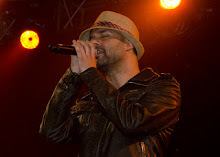 Leave a comment here, email me or tweet me and I will include them in a special Fans Favourites blog next week!